My son joined Yamaha music school piano lessons last May. 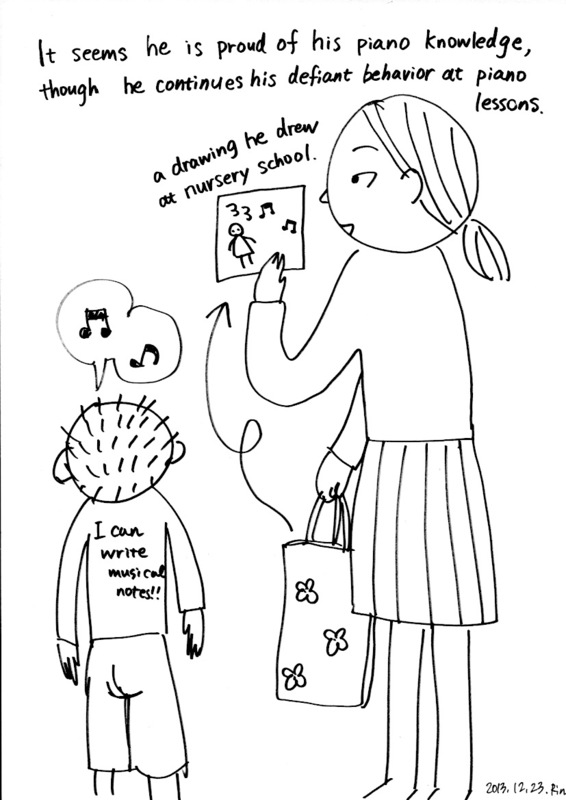 At first, he doesn’t look happy at all and I thought it might be too early for a 4 yrs boy tostart piano training. But now, 8 months have passed, and I am pleased to offer some better news. 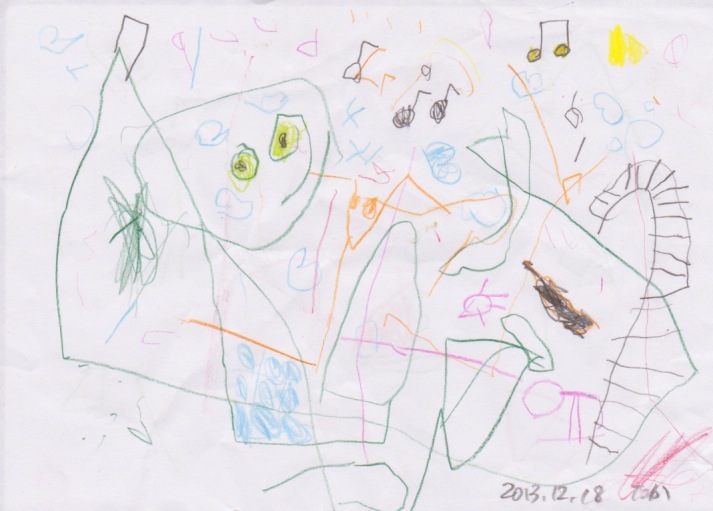 This entry was posted in 03_First Son (Taka), 07_Yamaha Music School on 2014/01/09 by mangadiary.